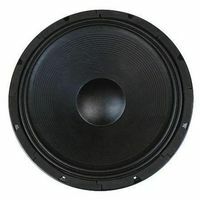 A range of high performance loudspeakers that can be used for do it yourself speaker construction or used as replacements or upgrades to existing cabinets. 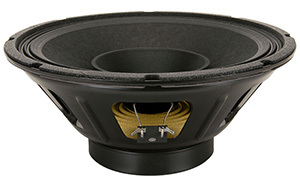 8 inch (203mm) mid-bass driver, 8 ohms, 225W. 8 inch (203mm) mid-bass driver, 8 ohms, 250W. 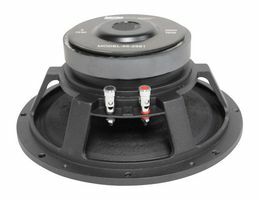 10 inch (254mm) bass driver, 8 ohms, 250W. 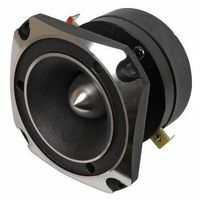 12 inch (305mm) bass driver, 8 ohms, 250W. 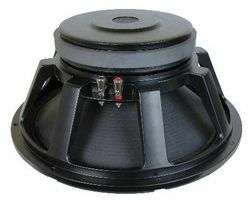 12 inch (305mm) bass driver with tweeter cone, 8 ohms, 250W. 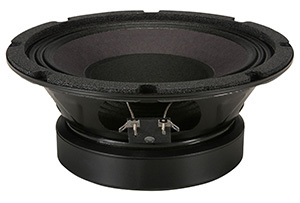 12 inch (305mm) woofer, 8 ohms, 400W. 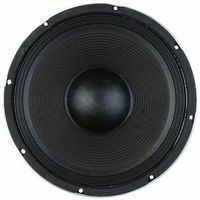 15 inch (381mm) low frequency woofer, 8 ohms, 400W. 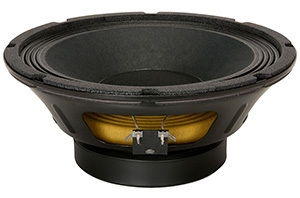 15 inch (381mm) enhanced low frequency woofer, 8 ohms, 500W. 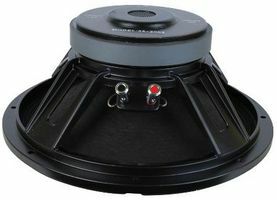 An extensive range of economical cone low frequency loudspeakers for many applications including hifi, bass, guitar and public address. 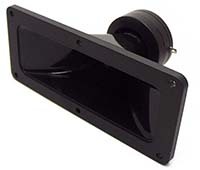 6.5 inch hi-fi polypropylene cone woofer rated at 45 watts, 8 ohm. Steel frame, rubber surround. 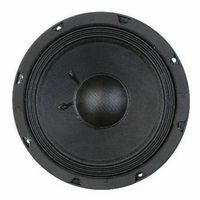 8 inch hi-fi polypropylene cone woofer rated at 70 watts, 8 ohm. Steel frame, rubber surround. 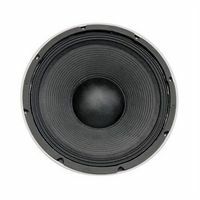 10 inch hi-fi polypropylene cone woofer rated at 100 watts, 8 ohm. Steel frame, rubber surround. 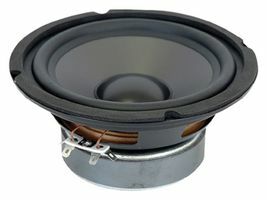 10 inch paper cone woofer rated at 250 watts, 8 ohm. Diecast frame with cloth surround. Good for PA and guitar applications. 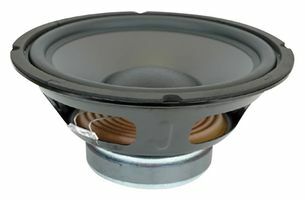 12 inch paper cone woofer rated at 350 watts, 8 ohm. Diecast frame with cloth surround, Good for PA and guitar applications. 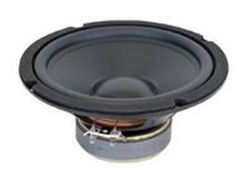 15 inch paper cone woofer rated at 500 watts, 8 ohm. Diecast frame with cloth surround. 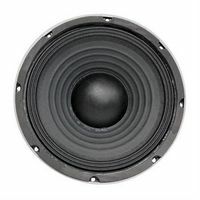 Good for PA and bass applications. 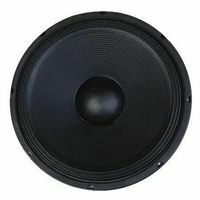 18 inch paper cone woofer rated at 700 watts, 8 ohm. Diecast frame with cloth surround. Good for PA and bass applications. 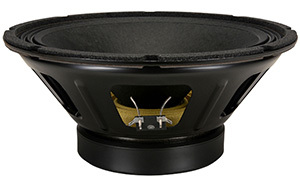 8 inch paper cone woofer rated at 160 watts, 8 ohm. Diecast frame with cloth surround. Good for PA and guitar amp applications. 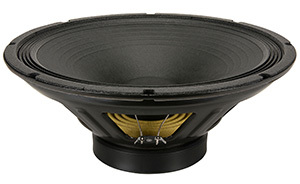 12 inch paper cone woofer rated at 175 watts, 8 ohm. Diecast frame with cloth surround. Good for guitar amps. Low cost full range drive units featuring the 2 way "wizzer" cone construction. 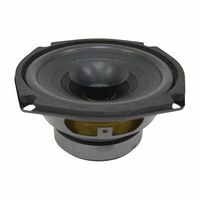 5 inch full range loudspeaker rated at 40W 8 ohm. 2 way paper cone with foam surround. 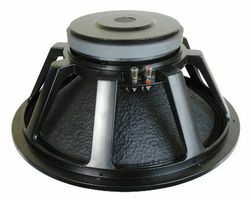 8 inch full range loudspeaker rated at 60W 8 ohm. 2 way paper cone with foam surround. 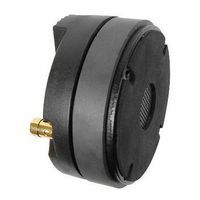 Visaton plastic diaphram 2.5 inch (64mm) weather resistant speaker, 8 ohms, 3W. A selection of professional and low cost high frequency drivers including piezo horns, bullet tweeters and hifi dome tweeters. 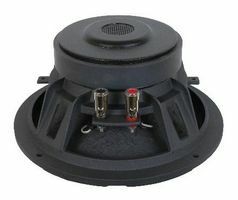 High output professional super tweeter with compression driver (not piezo), 80 degree conical dispersion, 8 ohm, 35W. 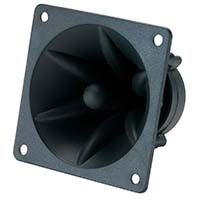 Rectangular piezo high frequency horn, 178x76mm, standard mounting pattern, 50 ohm, 100W. 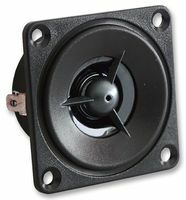 Square "Motorola" style piezo tweeter, 85x85mm, standard mounting pattern, 50 ohm, 100W. 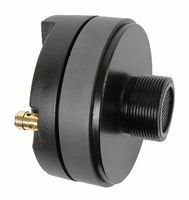 High frequency titanium compression driver with bullet horn for PA applications. 60W 8 ohm. 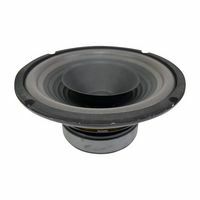 1 inch soft dome (impregnated cloth) tweeter with 1 inch voice coil. Rated at 30W 8 ohms for hifi applications. 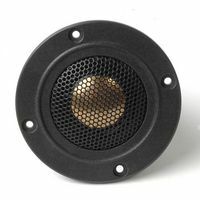 1 inch aluminium tweeter rated at 40W 8 ohm for hifi applications, very detailed sound. 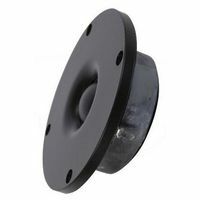 High output 1 inch silk dome tweeter for hi-fi applications. Rated at 50 watts, 6 ohms. 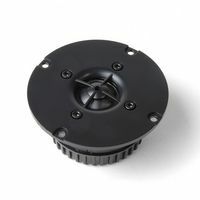 High output 1 inch aluminium dome tweeter. Rated at 50W 6 ohms for hifi applications. 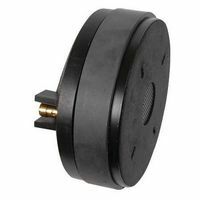 Magnetically shielded 13 mm (0.5") polycarbonate dome driver. 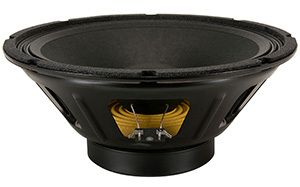 Excellent omnidirectional sound distribution and high efficiency. 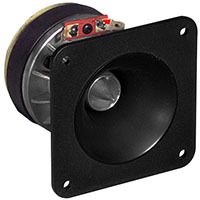 High frequency compression drivers for mounting on to horn flares. 1.35 inch titanium diaphram bolt on compression driver. Mounting is via four M4 threaded holes at 76mm centres. Rated at 100W 8ohms, 100dB sensitivity. 1.75 inch titanium diaphram bolt on compression driver. 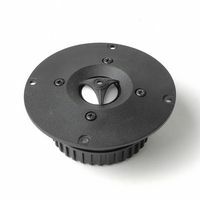 Mounting is via four M4 threaded holes at 76mm centres. 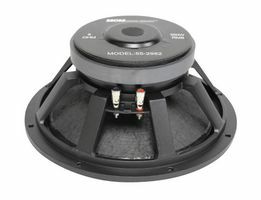 Rated at 200W 8ohms, 100dB sensitivity.